Changelly is a popular cryptocurrency exchange founded in Prague, in 2013. With its simple interface, Changelly is convenient for beginners, as well as experienced users. You can use this platform to quickly swap cryptocurrencies as the name suggests, but you can also buy crypto for fiat currencies. In this Changelly review, we aim to provide all the necessary information you need to know before using this exchange, such as account setup, fees, customer support and security. To open an account on Changelly, all you have to do is provide your email address. 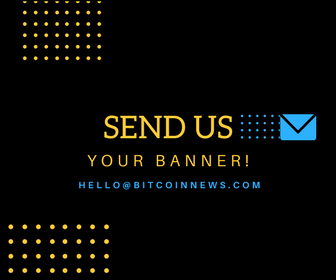 Once you enter the platform, you can type in the amount and type of cryptocurrency you would like to exchange. Changelly then displays the best available rate and shows you the estimated amount you will receive. The rates aren’t fixed and the amount can vary due to market volatility. That means that sometimes you will get higher and sometimes lower final rate than expected. This has caused some negative user comments and reviews, but Changelly explains that it’s necessary in order to avoid high fees. The next page shows in detail the exchange rate and approximate time of arrival. After you enter the wallet address, you will be asked to confirm the whole process, and the recipient’s address receives the funds in 5-30 minutes. 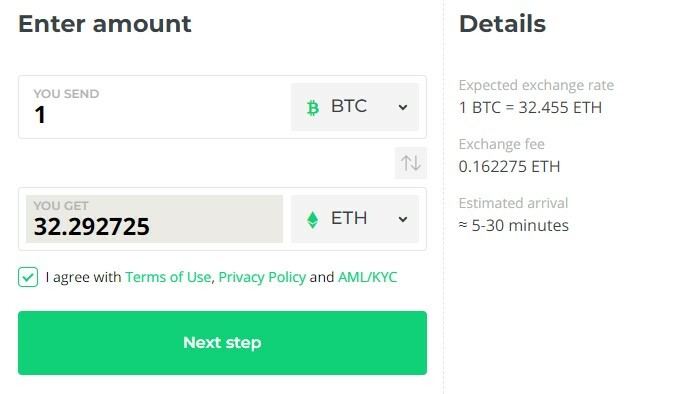 For a crypto-to-crypto exchange, Changelly charges a reasonable 0.5% commission. With Visa and MasterCard debit or credit cards, users can buy Bitcoin and over 100 different altcoins. Changelly has a partnership with Simplex and Indacoin for processing all credit/debit card transactions. The whole process is self-explanatory, but you will be asked to provide your phone number and a three-digit code from your bank statement. After you complete the verification process, the transaction will be received in 5-30 minutes. The fee for buying crypto with fiat money is a little high, costing a total of 10%: 5% for the exchange and 5% for the card processor. On the other hand, Changelly does not charge withdrawal fees while some other exchanges do. Changelly follows KYC and AML procedures, and if your activity is flagged by the system as suspicious, your account will be put on hold and you will be asked to verify your identity. You will then have to provide a passport/photo ID and prove the origin of your funds as legitimate. All your data is collected and processed by two companies: Fintechvision and Sum & Substance. Changelly does not hold funds on their platform, and all transactions go straight to the receiver’s wallet. They also use two-factor authentication and Google authenticator is required. This feature can be disabled, but it’s not recommended. Customer support can be reached via live chat and responses are usually received within a good timeframe. Another way to get help is to send them an email at [email protected]. They also have a solid FAQ section, where you can find the answers to most of the questions you may have. As we have seen in this Changelly review, the platform is decent if you want to swap cryptocurrencies quickly. Trading fees are reasonable and, according to Changelly, their algorithm is looking for the best rates on large crypto exchanges such as Binance and Bittrex. However, you should always check a few different exchanges for the best rate. Over the course of six years, Changelly appears to have gained the trust of more than 2 million users. Their reputation remains quite good and internet searches will reveal mostly positive comments. They don’t store funds on the platform, minimizing security risks. Moreover, they use 2FA authentication to prevent unauthorized access to accounts. Overall, Changelly is a reputable platform that has proven itself trustworthy and is worth giving a try. You can also check out our other reviews. Disclaimer: BitcoinNews does not provide any warranties towards the accuracy of the statements in the above Changelly review. Any content on this site should not be relied upon as advice or construed as providing recommendations of any kind. It is your responsibility to perform your own research of the platform. Trading and investing in cryptocurrencies involves considerable risk of loss and is not suitable for every investor. Next article Ledger Nano S Review: Good Value for Money?